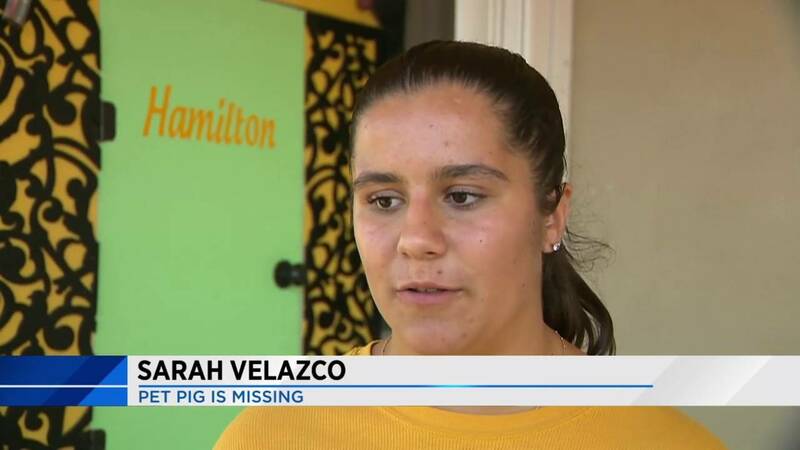 WESTCHESTER, Fla. - A beloved miniature pig named Hamilton was getting regular showers and carriage rides with Sarah Velazco until last Tuesday morning when he vanished in Miami-Dade County's Westchester community. The 14-year-old student said he can be sassy and he is no farm animal. He is used to getting his three square meals a day, sleeping in his little bed and playing with the family's other pets, which include a dog, a ferret, a rabbit and a bird. "I am worried about his care," she said. Sarah said she is desperate to find her companion pig, and she fears someone might have kidnapped him. Hamilton was last seen in the area of Southwest 82nd Avenue and 17th Terrace. Sarah is using social media and flyers to ask the public for help finding him. "We just want him home," she said. "We can’t believe he is gone." 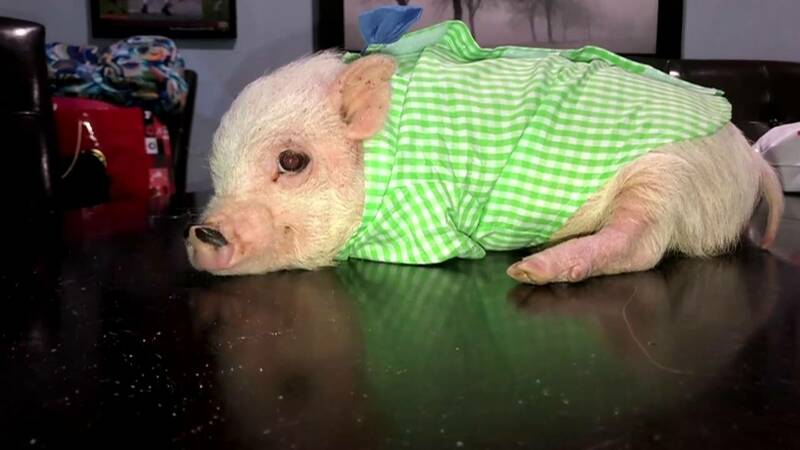 A "teacup" potbelly pig is worth anywhere from $750 to over $3,500, but Sarah said Hamilton is priceless. She is asking anyone with information about Hamilton to call her mother, Annette Velazco, at 786-443-3818.